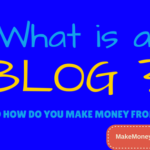 What is a blog and how can you make money from it ? This is the first question my students ask whenever I talk about how to make money online blogging in seminars or during any teaching session. In fact, the very first person that will stand up in the questioning session will ask this very question – what is a blog ?. Yes, I don’t blame them because, I discovered that for absolute beginners, the word “blog” is still fairly new to them. They neither know the meaning nor understand how how it really works or make money from it. That’s why I want to take this time to explain the term blog to your full understanding. So, if you are new to blogging, this article will be very useful for you. Also, if you have blogged before, you may still find new ideas to better understand what you are doing and improve upon it. That was a bit of introduction. 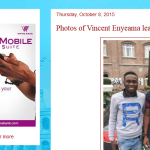 What is a Blog and how Does it Work in Nigeria? Hello readers and our dear students, today, I want to teach you about the word “BLOG”, how it work in Nigeria and elsewhere (outside Nigeria). This information is also applicable to people outside Nigeria. I am only mentioning Nigeria to emphasize our target audience. In a very clear sense of understanding, a blog is a personal online journal where you write and publish what you know and love. What you published will be available on your blog and can be accessed by other people (your readers) via the internet. Your readers will eventually access and read what you published using their computer, laptops, or phones. Let me ask you a question… Have you ever browsed the internet for anything to write your assignment, term paper, or any school home work? If yes, those information you used may be those from other people’s blog. Those people, the owner of the blog called “blogger” put the information there and you (reader) then uses the information. Another question… have you ever asked Google anything that bothers you? Of course, Google will always show you the answer to your question after search. The answers to your question may be from other people’s blog. When you ask a question on Google, they will quickly scan the word wide web (www) to find out which answer is suitable to your question. These answers are found on blogs. 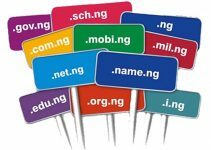 Currently, there are thousands of blogs in Nigeria. They blog on different topics called blogging niche. … and many other. I just want to mention the few above to show you typical examples of blog in Nigeria. 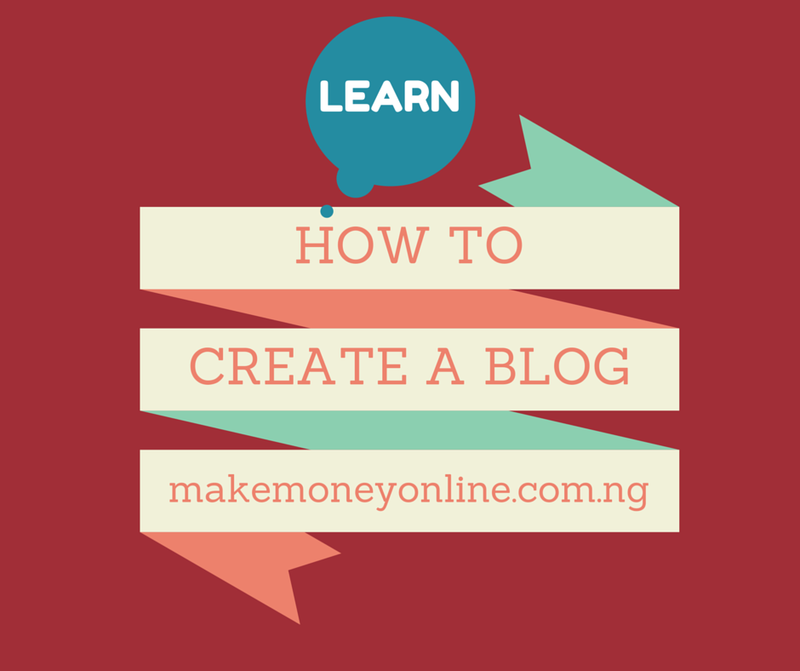 Now that you know what a blog is, let talk about how blog works in Nigeria. Nigeria is a large country, with over 170 million people (and growing). We are currently the 6 largest consumer of internet according to internetlivestats.com. The major aspect of information in Nigeria are disseminated through blogs. They are in the form of News Blogs, Entertainment blogs, do it yourself (DIY) blogs, educational blogs and so on. In fact, blogs dominate the whole internet space globally. All business websites too are encouraged to have their own blog. This is because of the vitality and ability to spark engagement with the readers. So, individuals or media houses, come up with a niche idea, they create a blog and start publishing articles (post) on it. After a while, it ranks in the search engine and people begin to view it. Blogs can help you to make money and you earn more than a professor who is teaching in the university. Like myself, I started blogging since 2013 and my monthly earnings now is more than a professors earning. I will still want to become a professor just for that name and not for money though. 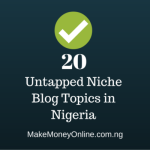 How do Blogs Make Money in Nigeria? I will talk about this topic in detail on a separate training. I will only mention them to explain how blog works in Nigeria. Blogs works on the internet. When you publish article on your blog, people visit it and read them if the articles provides answers to peoples’ problems. The more people that visit your blog everyday, the more money you make everyday. 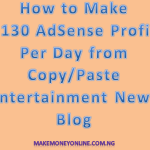 You will make money from your blog in various ways. Blogs make money through advertising, direct sales, membership, training and more. The ability to make money from your blog is called blog monetization and it’s something we teach here in detail. No mater how your blog is, you can still make money from it. It all depends on how much you know about blog monetization. SO, you now have clear understanding on “What is a blog and how does it work “. The next training is on how to create a blog for free. We will teach you two blogging platforms, which is Blogger and WordPress. Questions on what is a blog ? Please, like how much does one need to start and sustain blogging? I’ve got some questions but would love to talk with you. At where? I don’t understand you? can I merge my blog with others… I meant when they post something It will appear kn my blog? That is not advisable @ Awwal because you will not be able to have original contents. Thanks great man. Please can one create and manage a blog with a java phone? Sir please am interested in this blog,I use to write sometimes in Facebook!you mean if I get use to blog I can publish my writing through blog? Exactly! 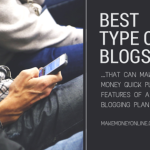 You can be writing on your blog and make money from it. Perfect! Atleast one needs to have his own website before he could talk about blogging. 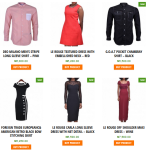 please can you help me to design a wordpress website and host it. i have a domain i want to use ,contact me with 07018099814 or bchimaraoke@yahoo.com. how much will it cost. Internet business is not a get rich quick business. So, stay on this blog and learn more. 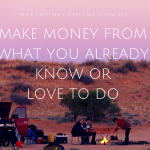 There are a lot to learn if you want to make money online. After sometime, you will discover ways to seriously make money online. Success! thanks again for todays lesson,because it has braodened my knowledge on what blogging can be used for with ease. Thank you so much in fact I am amazed but let me just ask in my face book profile I do write stories of things can it be likened to blog?